Monu Goyat’s 11 points and Vikash Khandola seven points weren’t enough to prevent Steelers from qualifying for the playoffs. 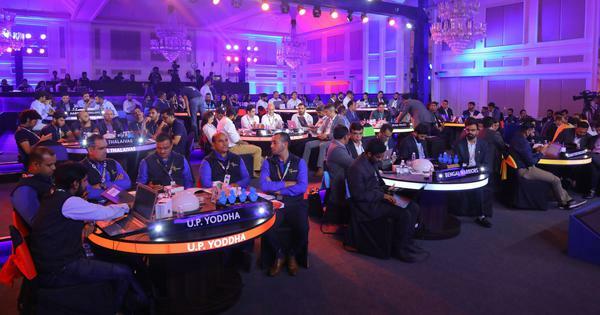 UP Yoddha produced a superb all-round display to eke out a thrilling 30-29 win over Haryana Steelers in an encounter of the Inter Zone Challenge Week at the Pro Kabaddi in New Delhi on Thursday. Shrikant Jadhav and Prashant Rai scored 8 points each to lead Yoddha to victory at the Thyagaraj Sports Complex in New Delhi. Monu Goyat scored 11 points, while Vikash Khandola contributed with 7 points but it wasn’t enough as Haryana Steelers failed to qualify for the playoffs. Haryana Steelers made a strong start and led for the majority of the first half. 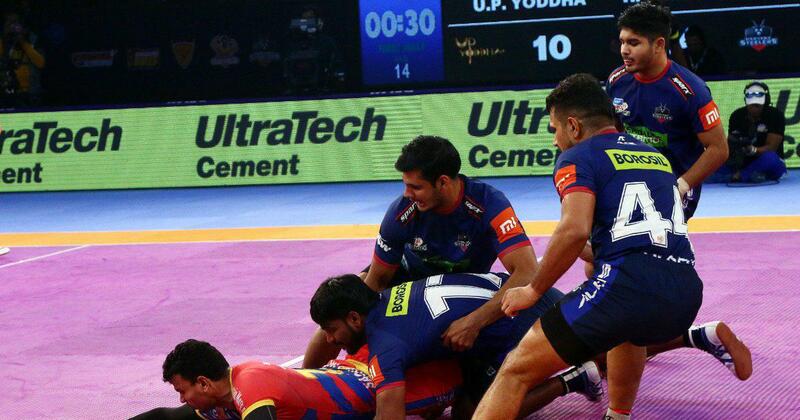 But Shrikant got three points for UP Yoddha with a super raid as they trailed 5-7.